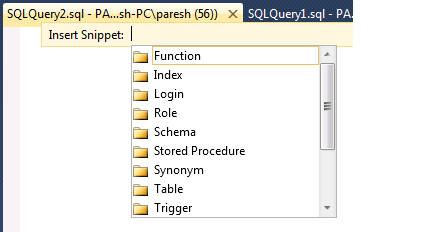 SQL Server Denali introduced one more feature which can easily and reduces our t-SQL coding. This feature is "Code Snippets". 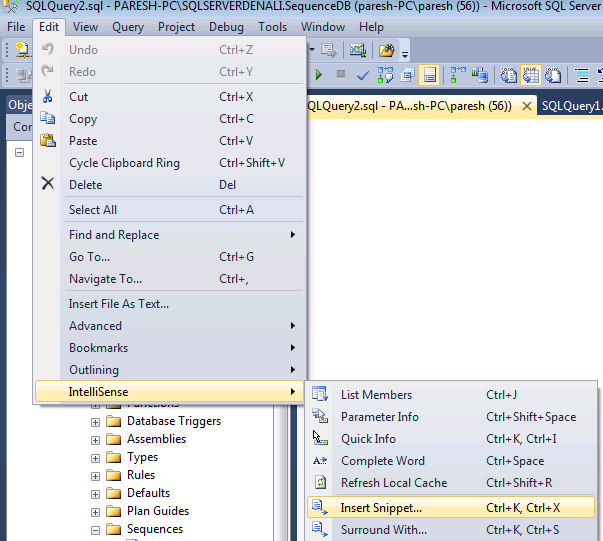 It allows to insert code template in the query editor. Here is some demonstration of this query editor new feature. Let's double click on Index and an insert template of Create an Index. I hope you liked this post. In the next post I will write how to create custom snippet. That's a nice upgrade from having to open a .sql file to cut and paste from. Thanks for highlighting this. Umm, sounds like what SQL-2008 called Templates, invoked by Ctrl-Alt-T (Template Explorer). It offers the same and much more.